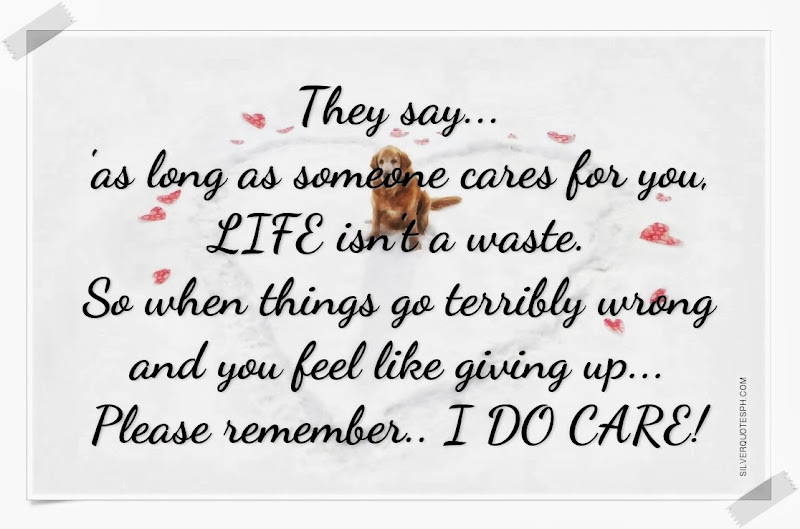 They say..'as long as someone cares for you, LIFE isn't a waste. So when things go terribly wrong and you feel like giving up... Please remember.. I DO CARE!